Welcome to Longboat Key. So if that burning desire to live on the beach has reached its boiling point, its time to investigate “The Keys”. For generations owning real estate in Sarasota has lured many upwardly mobile entrepreneurs, famous celebrities, artists of note, as well as many celebrated intellectuals to its barrier islands. Although larger than heralded Siesta and the other “Keys”, Longboat Key delivers a surprising amount of delightful activities into its district. With the market for homes for sale on Longboat Key growing steadily, potential buyers are always on the lookout for area attractions such as the Myakka River State Park featuring eco friendly hiking, canoeing, and fishing adventures, or the Mote Marine Lab & Aquarium located on the southern end of Longboat Key. Here they display shark and dolphin tanks in concert with other southwest Florida marine life. Also with over 40 golf courses located in Sarasota, duffers of all skill levels consider this a golfing mecca. The Longboat Key Public Tennis Center is recognized as one of Sarasota’s foremost municipal facilities, boasting 10 clay courts, and a full schedule of ongoing daily events. The fabulous bay front development of condos for sale at Grand Bay were designed and built in the mid to later 1990′s and are conveniently located at 3060 Grand Bay Blvd. There are 272 maintenance-free residences within six buildings nestled on the bay side of Longboat Key and just behind the gateway of the stunning Longboat Key Club. It features easy entrance to an immaculate golf course, 1 resort and 1 lap style pool, sun decks, Har-Tru tennis courts, state-of-the-art fitness center, private beach access via the Bay Isles Beach Club, concierge service, picturesque bike paths, along with breathtaking vistas of Sarasota Bay. Grand Bay boasts many amenities much older complexes don’t, such as high ceilings, large picture windows, outsized terraces, and only six residences per floor including two penthouses. 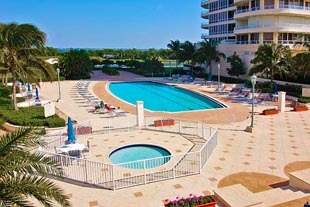 Beautiful views and affordability are highlights of Grand Bay condos for sale. Floor plans generally run from 1,270 to 4,075 square feet with residences featuring 2 bedroom, 2 bath to 3 bedroom, 3 bath configurations. You will find reasonable price points in the $300,000 to $1.5 million range and as an owner at Grand Bay, you automatically become a member of the prestigious Bay Isles Beach Club. There are many Longboat Key real estate opportunities available and you will be shocked at just how affordable many of them are. 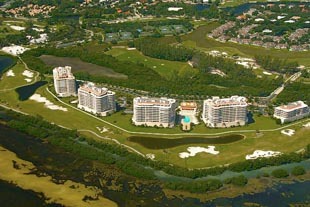 Grand bay is one of the more popular choices. If you have dreamt of living in a tropical oasis where you are virtually steps from the beach, here is your opportunity. Grand Bay offers discerning buyers the chance to live the good life along the waters edge they have earned and always wished for. 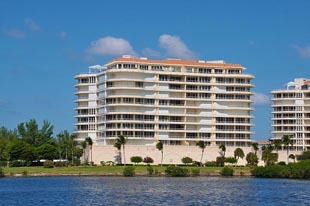 Below are all of the current real estate listings available for sale at Grand Bay.